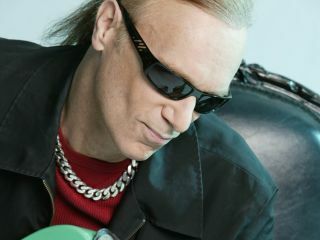 PRESS RELEASE: The Institute of Contemporary Music Performance (ICMP) is excited to welcome legendary bassist Billy Sheehan for an interactive bass masterclass. The class will take place on Wednesday, April 28th at their facilities in Kilburn, London. Known for his work with Steve Vai, David Lee Roth and Mr. Big, Billy has won 'Best Rock Bass Player' five times by Guitar Player Magazine and has played in over 4,000 shows. Billy has also been hosting bass masterclasses for over 25 years in countries all over the world. Billy's masterclasses are designed to be as inspirational as they are informative, teaching students how to improve their playing and develop their style. As well as playing for the students, this electrifying bassist will also be sharing his experiences as a professional musician working within the music business.